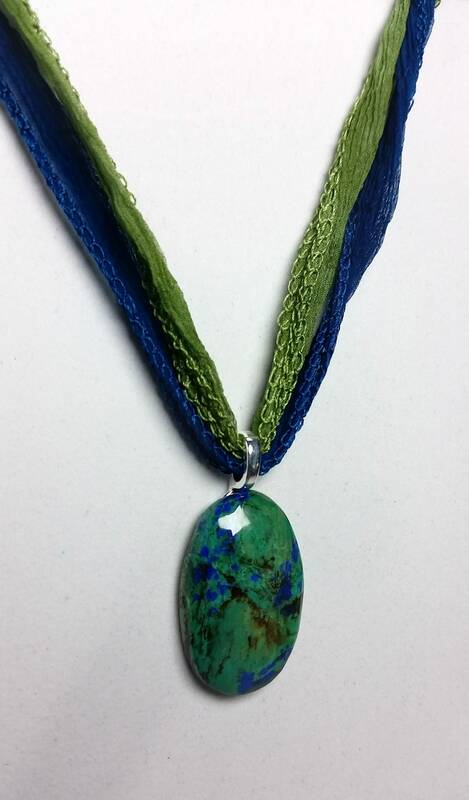 Azurite, malachite and chrysocolla have the mineral copper and they often are found in close proximity. 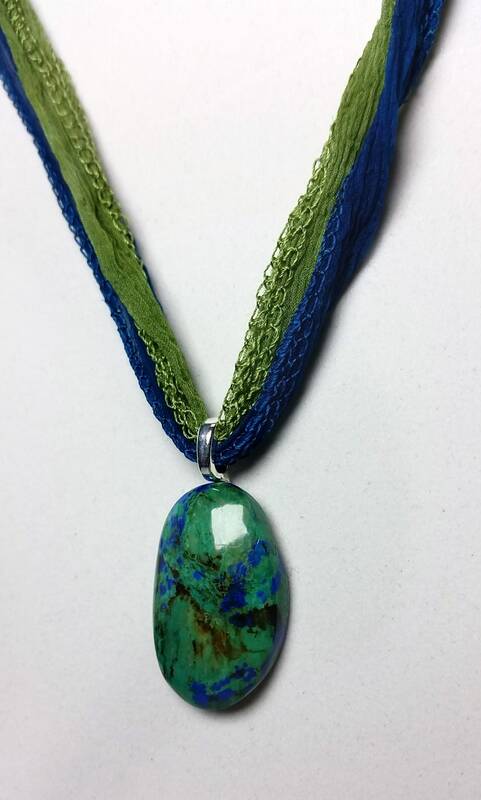 In this case, they are combined to make this beautiful green and blue gem! Colors of the ocean (chrysocolla) and sky (azurite) as well as green plants (malachite) are reflected in the vibrancy of this stone! This gem began as a rough stone that I cut, shaped and polished into an oval-ish cabochon. To bring out the deep blues and greens I used blue and green fairy ribbons. The ribbon can be tied to accommodate lengths from choker to 20+ inches. I added a silvery bail at the top of the pendant to put the ribbons through. 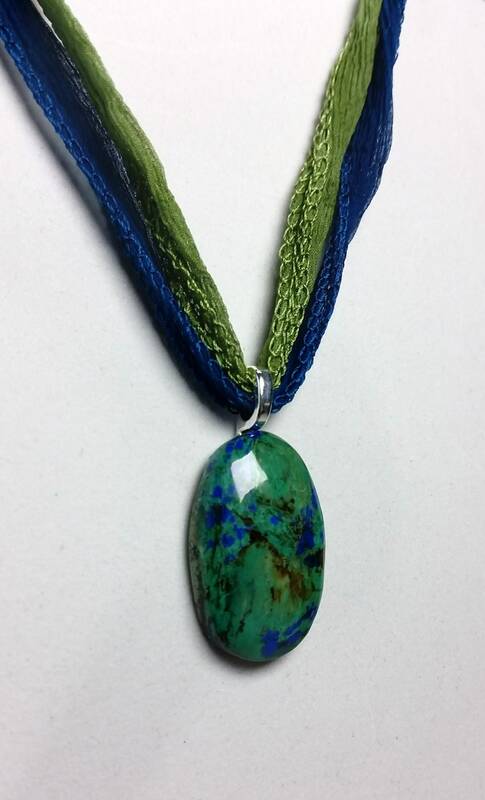 Azurite is said to guide one's psychic development and bring about clear understanding. 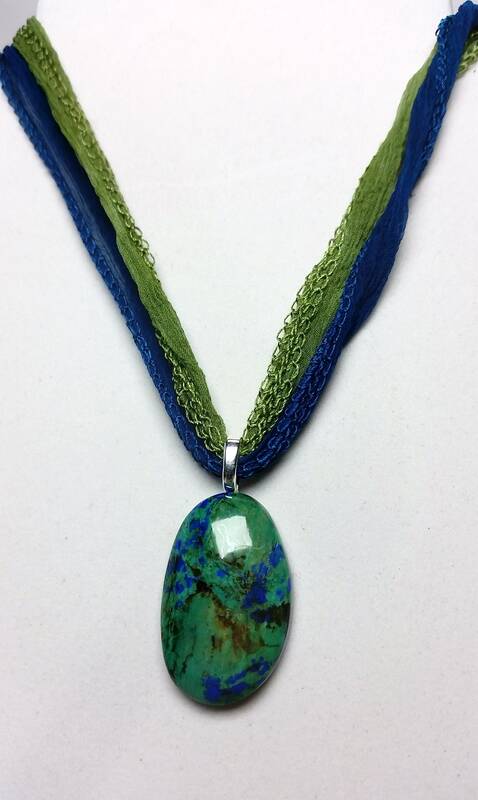 Chrysocolla also is said to aid in communication and understanding as well as bringing tranquility. 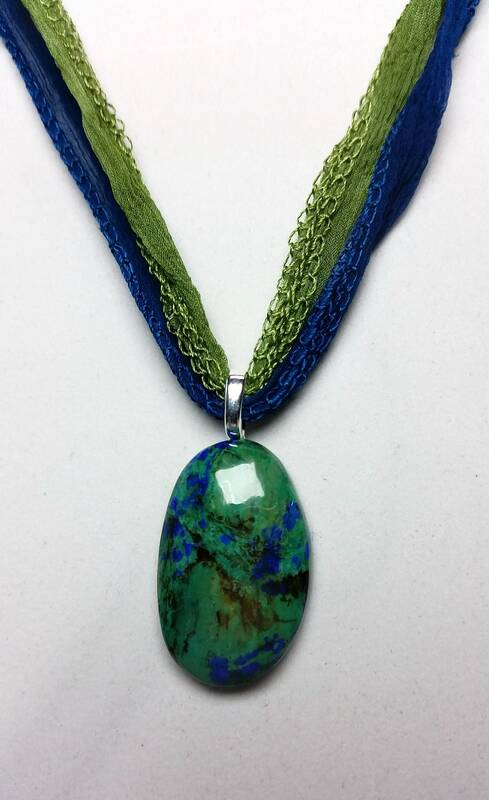 Malachite is said to be the stone of transformation. This is quite a powerful combination!